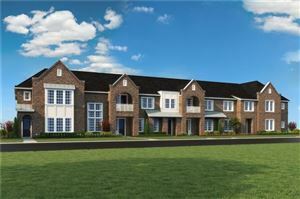 Fairview is a premium community North of Dallas just east of 75 between Allen and Mckinney. The majority of homes in this area are on acreage lots, and there is ongoing custom construction. You can expect a median home price in the $400,000s and median rents at $1200 a month. Fairview is primarily served by the well respected Lovejoy ISD, instructing over 2800 students, though some parts are under Mckinney ISD’s respectable guidance. The Village at Fairview offers shopping ranging from Macy’s to Whole Foods Market to Target. There are also some terrific restaurants ranging from casual to fine dining, whether you’re craving a great burger at Twisted Root, or the Latin flavors and lush baked goods at La Duni and everything in between. The Allen Events Center is part of The Village and offers live music, trade shows, professional sporting events, festivals, community ceremonies, and much more. There’s even a great little dog park at the Canine Commons inside The Village, where your mutt or champion can play off leash. It’s also just a short drive to Mckinney’s picturesque Historic Downtown or a modest trip to downtown Dallas. Fairview has a population of approximately 8,000.